Bangkok (Thailand) – March 29, 2019 (travelindex) – An industry innovator and thought leader David Kong is celebrating his 15th year as President and CEO of Best Western Hotels and Resorts. As he hits the anticipated milestone, Kong becomes the longest-running CEO of a top 10 major hotel chain and Best Western finds itself poised for its most exciting year yet. Starting in the hospitality industry as a busboy, Kong spent decades climbing the ranks, learning and working his way through positions in nearly every department and every chain scale segment. In his time leading Best Western – which has included serving as executive vice president of international operations, senior vice president of marketing and development, and senior vice president of strategic services and operations – he has cultivated a leadership team and company that has become a leader in innovation, as is evident in the evolution of the brand and industry recognition. During Kong’s tenure, Best Western has completely reimagined its brand identity, signaling the modernization and evolution of the brand and emerging as a global hospitality powerhouse with 16 individual brands across every chain scale segment. Kong has put innovation at the forefront of the company’s transformation, implementing programs like the Best Western Virtual Reality Experience (BWVRE), which uses virtual reality to reinvent the way guests view and shop for hotels. The I Care® Every Guest Every Time employee training initiative leverages virtual reality to transform communications between front desk staff and guests. 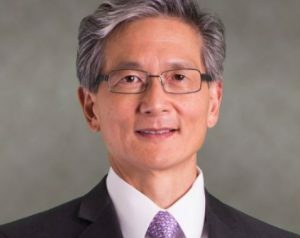 These programs, led by Kong and his stable and progressive leadership team, have established Best Western as the first company of its size and scale to utilize cutting-edge technology in ways that drive increased satisfaction scores. As a result, the company has seen significant financial achievements and unprecedented performance in guest loyalty and hotel satisfaction scores, achieving a record high Net Promoter Score (NPS) of 62. Importantly, these achievements have resulted in Best Western being named one of Fast Company’s Top 10 Most Innovative Companies last year. As Best Western has evolved over the years, so has the company’s portfolio. When today’s travelers began seeking fresh new design options at a value-oriented price point, Best Western introduced Vīb® and GLō®, two boutique brands thoughtfully designed for the midscale market. As the industry has recently seen a shift away from new construction to conversions, Best Western has responded in full force, launching an edgy, imaginative and creative pair of boutique brands, SadieSM and AidenSM. Both Sadie and Aiden present the opportunity for independent hoteliers or developers with branded hotels to reposition their property in a unique way, taking advantage of a cost-effective, turnkey and customized design and renovation program, all implemented under Kong’s leadership. Best Western’s economy option, the SureStay Hotel Group®, has differentiated itself in the industry by focusing on customer care and product experience. The brand prides itself on its ability to consistently meet guest expectations as reflected in its impressive 3.91 average TripAdvisor rating. Since the brand’s launch in 2016, it has grown at a rapid pace to more than 200 open properties globally. Sadie Hotel, Aiden Hotel and the SureStay Group are just a few of the brands that represent Best Western’s now expanded portfolio. Just last month, Best Western announced their acquisition of WorldHotels, further enhancing the company’s breadth of offerings to include the upper upscale and luxury segments. An initiative conceived and driven by Kong, the acquisition underscores Best Western’s commitment to innovation and evolution. Kong has played an instrumental role in the evolution of Best Western, leading the legacy brand through a full refresh across multiple areas of operation, including: expanding innovative sales and marketing programs, launching a new digital platform, redesigning Best Western’s powerful loyalty program, and implementing a renovation program at every hotel – completely reimagining the look of the brands with new logos and signage. Together with the executive team, Kong has molded the company into “Today’s Best Western” – a brand infused with innovation and excitement, consistently achieving its strongest performance for the past three years.